Here is a look at our festal display. 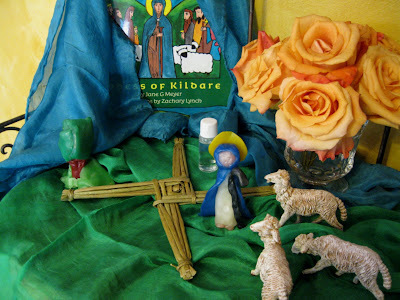 The little princess made a St. Brigid from wax, I raided the Nativity Set for sheep, the flowers were the ones we purchased to toss at the arrival of the Kursk root icon and couldn't use because the venue moved to a hotel (hotels don't let you throw rose petals :) Of course, our favorite book on St. Brigid, and the vial contains water from St. Brigid's well, which my in-laws brought back from Ireland last year. 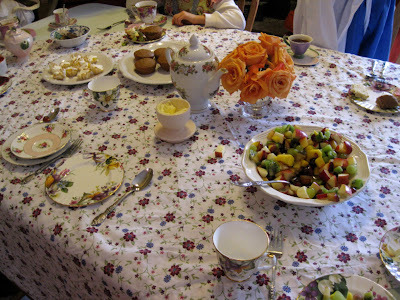 To celebrate St. Brigid's feast day, we invited a friend over for a proper tea party. I tried my hand at Irish Soda Bread - still need to work on it :) It was okay, and the kids enjoyed it, but not great! We made our own butter in a jar, and enjoyed lemon curd with homemade whipping cream, fruit salad, spice cake muffins and green tea. 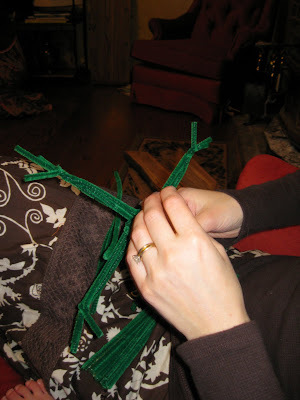 Later we sat by the fire and made St. Brigid Crosses - pipe cleaners are the way to go if you are trying to teach kids! 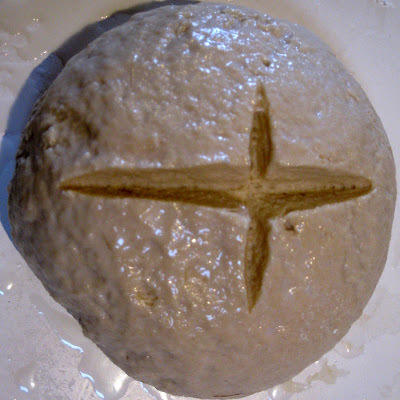 A lovely feast day all around! How fun! 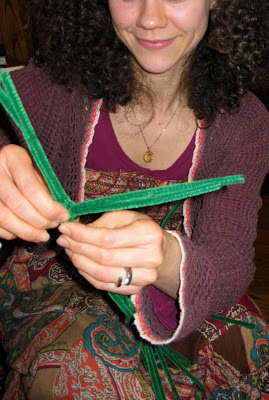 I love the St. Brigid wax figure your daughter made. I do too! we are big on tea parties in this house, and need to do it more often. It is such a great way to spend an afternoon with a friend. happy feast day! I love the idea of a tea party. 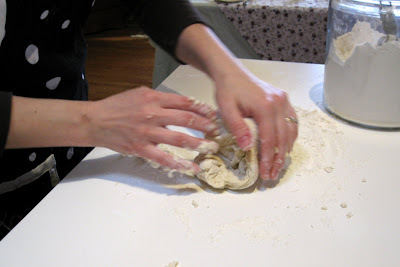 But, don't have anyone close-by to invite :( Perhaps next year I'll try my hand at soda bread.